By land via "Roll-on, Roll-off" from Cebu, Silay is approximately six to eight hours away. Pray. Designed by Italian architect Lucio Bernasconi in 1920, the San Diego cathedral’s silver-colored Byzantium dome was inspired by St. Peter’s Basilica in Rome. Its architectural grandeur and treasury of religious art are testaments to the people of Silay’s deep faith and religiosity. The ruins of the old church whose foundations date back to 1776, is located at the back of the present church and is now an adoration chapel. Love. Thirty twokilometers from the City proper is Barangay Patag. An adventurer’s complete getaway, this eco -tourism destination has a lot to offer. From over a hundred waterfalls noteworthy are Pulang Tubig and Dumalabdab that will bring you to the brim of excitement. For the more adventurous, a long trek to enchanted Tinagong Dagat, an open space in the middle of lush forests and high peaks will surely test the spirit. But it is not all endurance and thrills in Patag, for the less adventurous, a quite dip in the pool fed by spring water or a picnic will always be the perfect time to bond with family and friends. Observe and Imagine as thepast comes alive in the architecture and fine craftsmanship of Silay City’s 29 surviving ancestral homes, all recognized by the National Historical Commission. A confluence of foreign and local ingenuity, these palatial dwellings tell the tale of an era made sweeter by the sugar produced and the colorful life lived. It is sugar that made Silay one of the richest towns in the country and the hacienderos spared no expense in the construction and furnishing of their homes. For more travel information, please contact the Silay City Tourism Office, Negros Occidental, Philippines at telephone nos. (63-34) 495-5553 and fax at tel. nos. (034) 495-0848. Email at silaycity_tourism@yahoo.com. Like Silay City in Facebook, search Silay City. * The League of Cities of the Philippines is giving you 122 Reasons Why It's More Fun in the Philippines in support to the the Department of Tourism's new campaign. 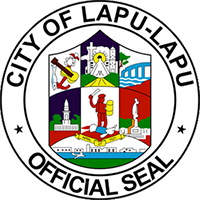 LCP will feature a Philippine City and its local tourism sights and sounds for you to marvel. These snapshots, we hope, can provide enough curiosity for you to make our Philippine Cities become your prime tourist destinations. All information reflected herein are based on the submission of our member-cities and are in no way reflective of the opinion of the League or any of its officers. Excerpts from this publication, excluding photographs, maybe reproduced without authorization on condition that the source is indicated.